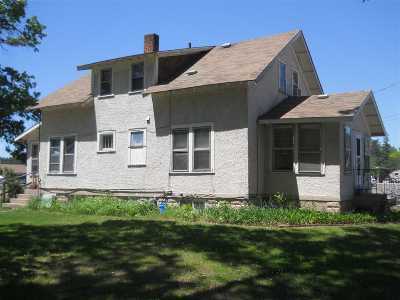 Here is a spacious home right on Main St in Adams! Perfect corner Location close to all the amenities you will need, Shopko, ACE, the County Market and Adams Community Bank. Right across the street from the Middle School. Spacious home with large open rooms, looks great, 3 bedrooms upstairs, with large closets, full basement with large laundry area. This is a must see property!! !